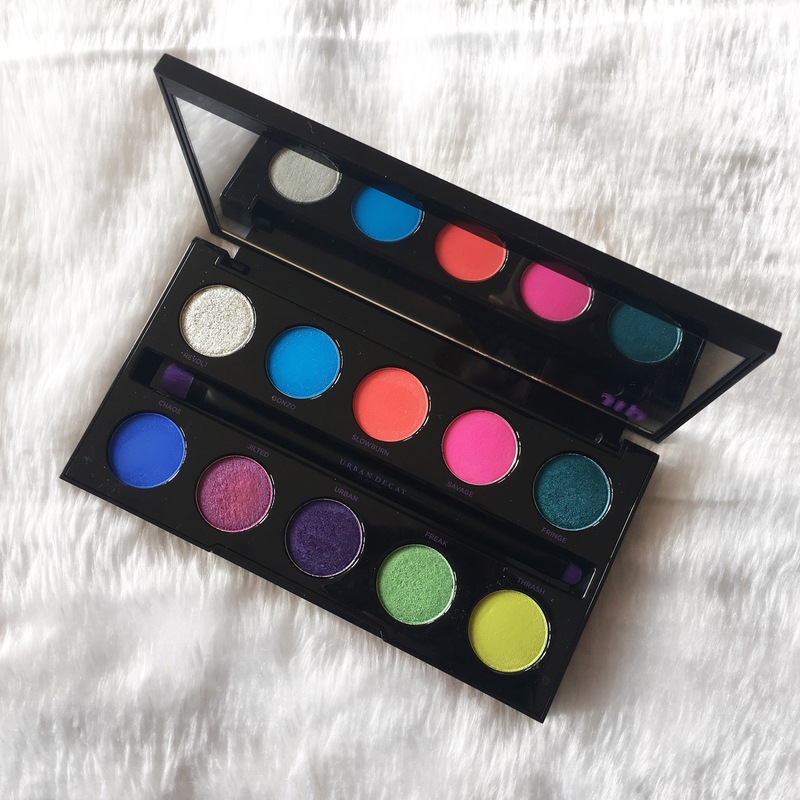 This palette is extremely bold and beautiful. For most looks, you’ll probably want to pair it with a matte palette or a few matte shades to tie a look together. I’ve already created a few looks with this palette but I’ll share them with you as I go through my 100 Days of Makeup looks! The only shade I’m mildly concerned with is Revolt, which is the silver glitter. All it is is the silver glitter, without a backing pigment. You’ll just need to make sure you use a sticky base with it or a glitter glue to make sure it adheres properly and pops. It’s a really pretty shade but it does need extra love. Four of the shades are not recommended for the immediate eye area; Savage, Urban, Jilted and Slowburn. I would make sure that I used it with a pretty thick base if you plan on using it on your eye lids because they may stain, and you’ll probably be looking to avoid that, especially those sorts of shades. The two shades that I’m most excited to use are Thrash, a surprisingly unique shade, and Fringe, which I imagine is going to look STUNNING on the lid! 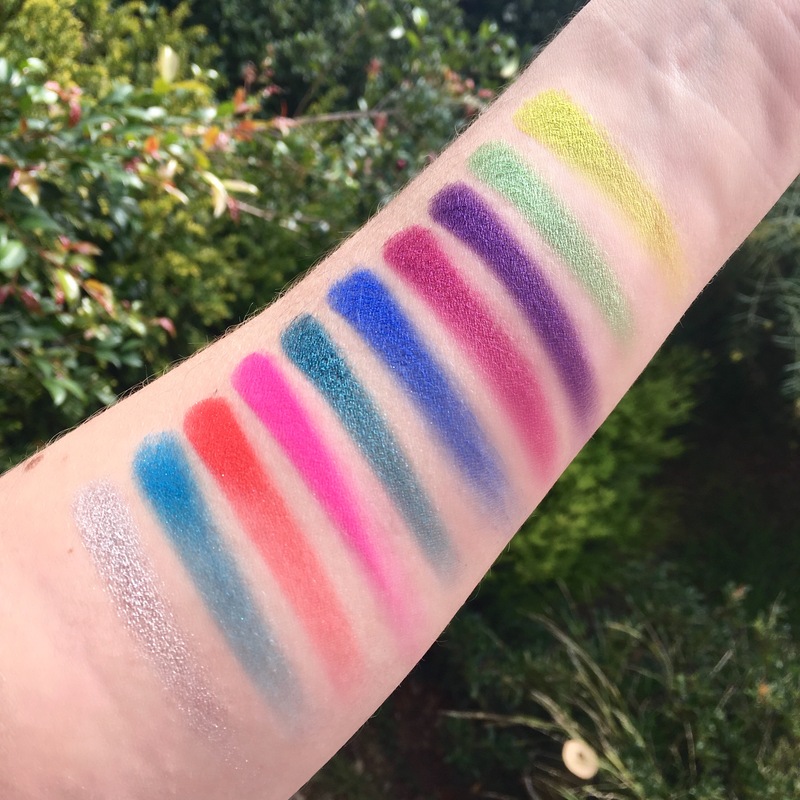 Overall I’m really really pleased with the palette and I cannot wait to pump some exciting looks out with it! I hope that you’re excited to see what I manage to create! Very nice! That super hot pink shade is amazing – love it. 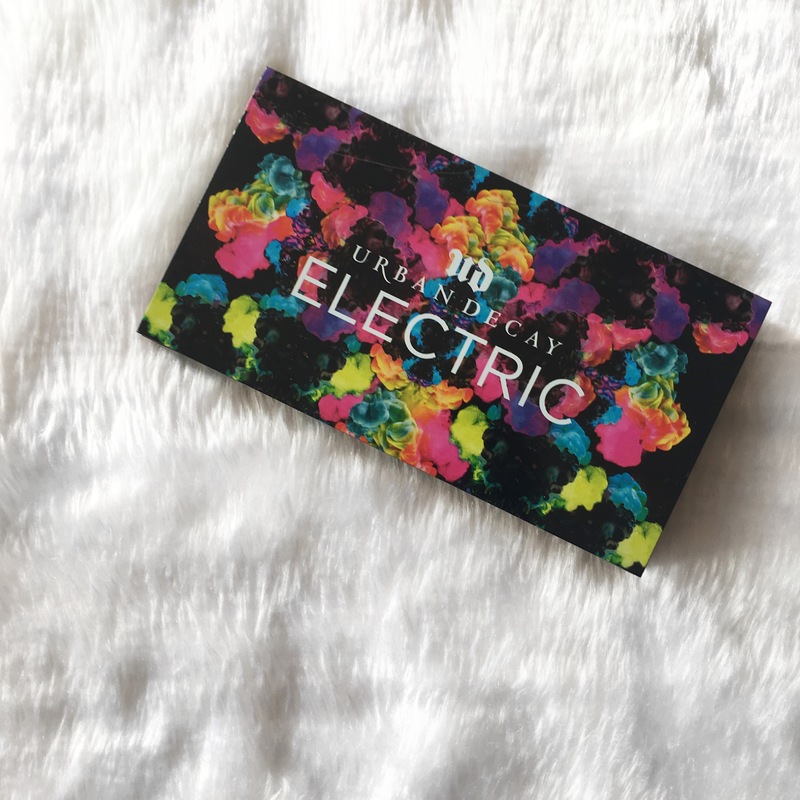 I’m so glad you love it now that you have it – I ADORE my Urban Decay palette, use it all the time even though it’s 90 percent neons!